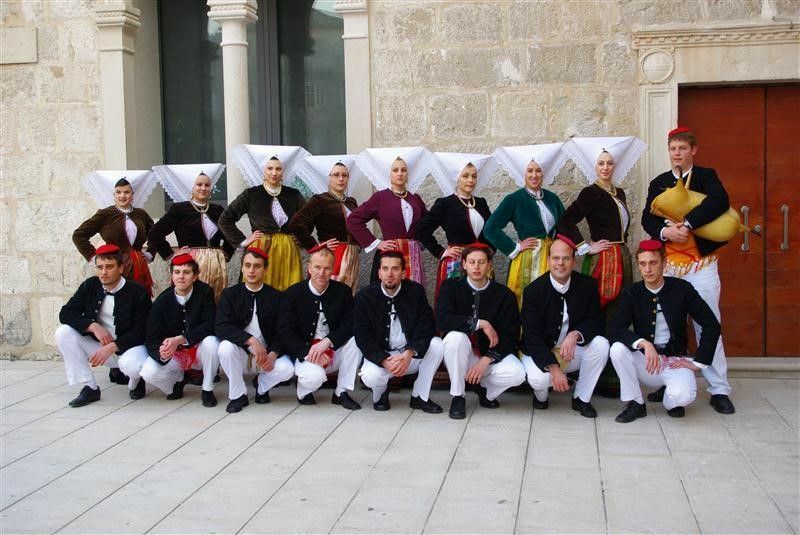 Pag’s folk attire is especially beautiful and known throughout Europe. When speaking of Pag folk attire, one first thinks of the old-style women’s clothing, particularly the lace made by needlepoint, the blouses and headgear (called pokrivaca). The Pag blouse and pokrivaca are sewn on a base (with threads). This work by Pag’s women is called the Pag teg. An integral component of the folk costume is the jewellery, specially made earrings (ročini) and necklaces made of strings of beads and pins for the pokrivaca. The parts of the women’s attire adorned with initial lace, reticella, made on threads and a base, the Pag teg, and lace separated from its base, which Pag’s women called the Italian teg, have been registered in the list of protected culture goods of the Republic of Croatia and bear the label “Croatian Creation,” and they are under UNESCO protection as well.